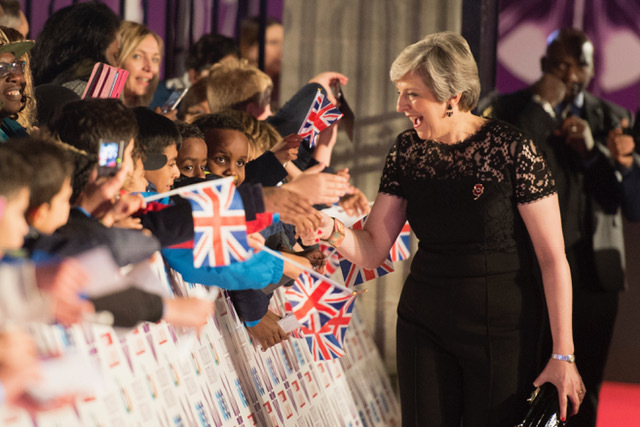 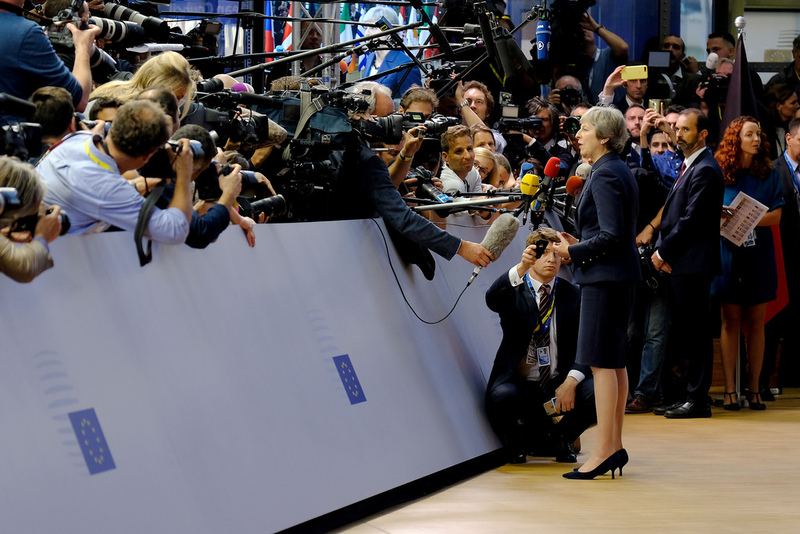 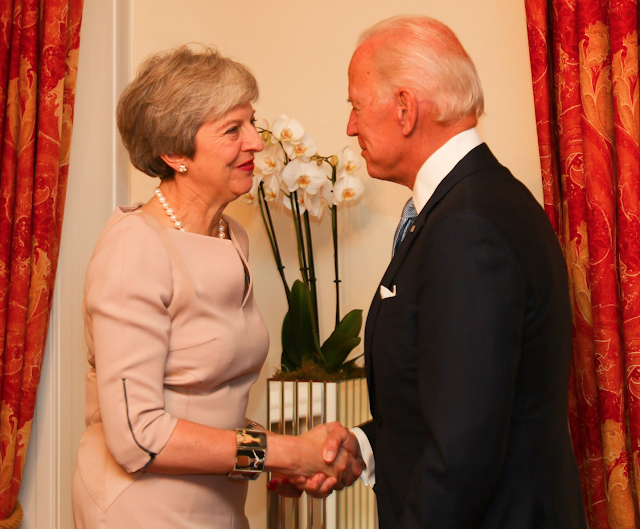 It was a busy week of business for the Prime Minister - with the launch of the Government's loneliness strategy and three days in Brussels. 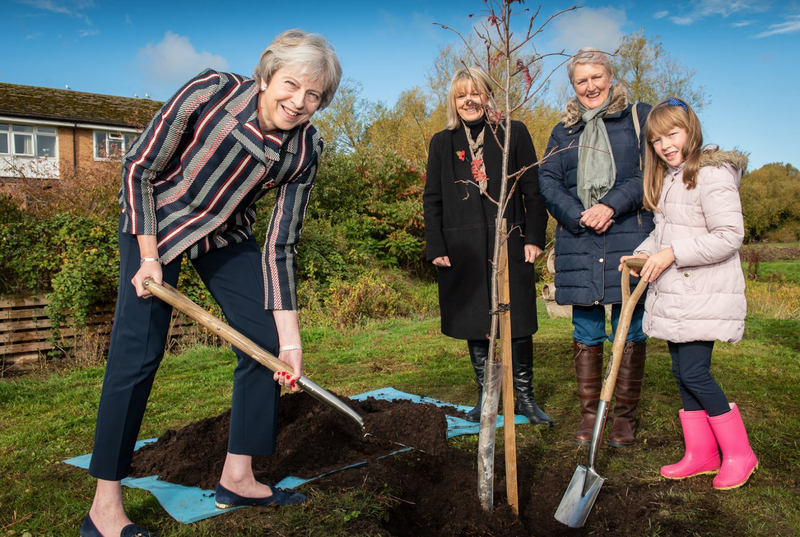 Here's a recap of what Theresa May got up to. 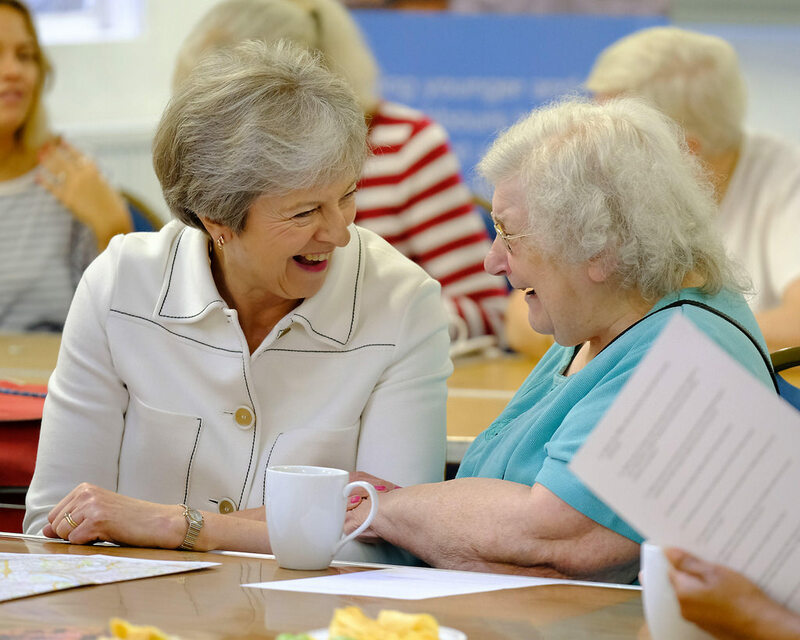 On Monday, the PM attended the launch of the Loneliness Strategy in London. 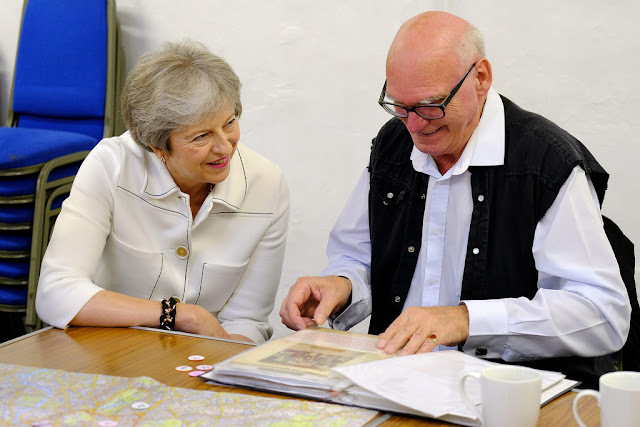 Launching the strategy, Mrs May confirmed English GPs will be able to refer lonely people to community and voluntary activities by 2023, as she paid tribute to murdered Labour MP Jo Cox, who had campaigned to end loneliness before her death. 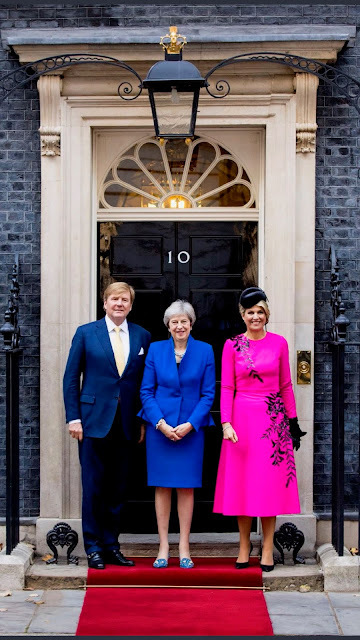 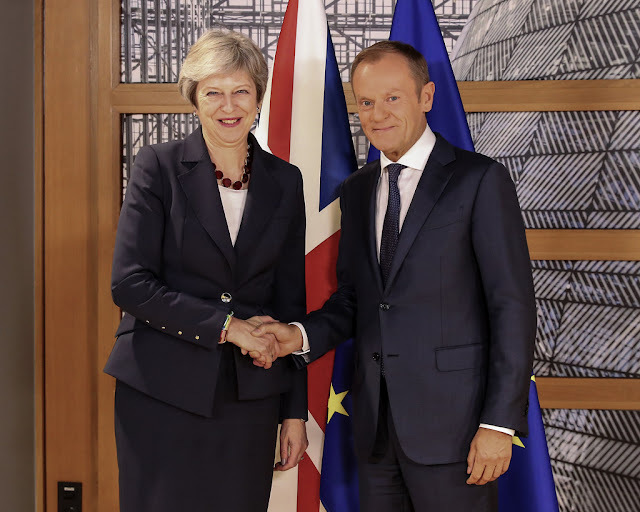 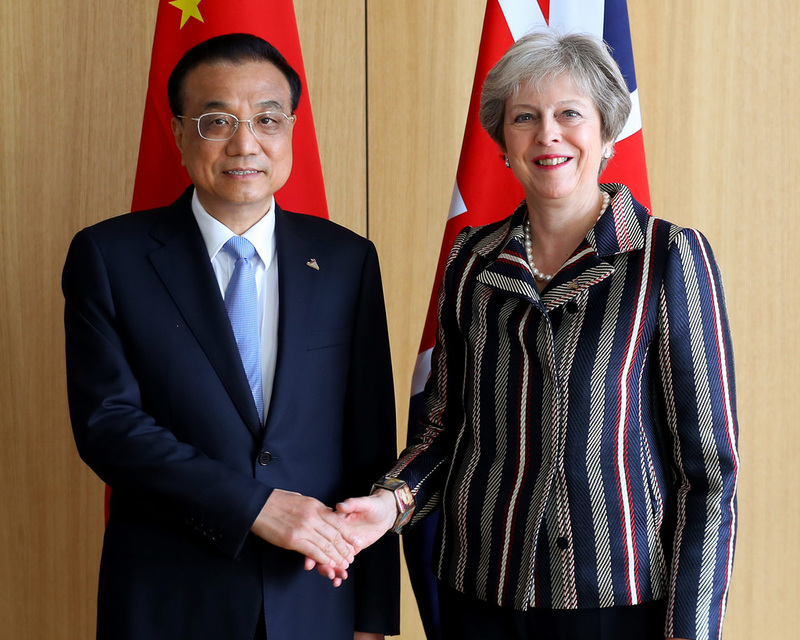 May wore her bright white Piazza Sempione jacket with black trousers, accessorising with the new season Amanda Wakeley rose gold bracelet and necklace. 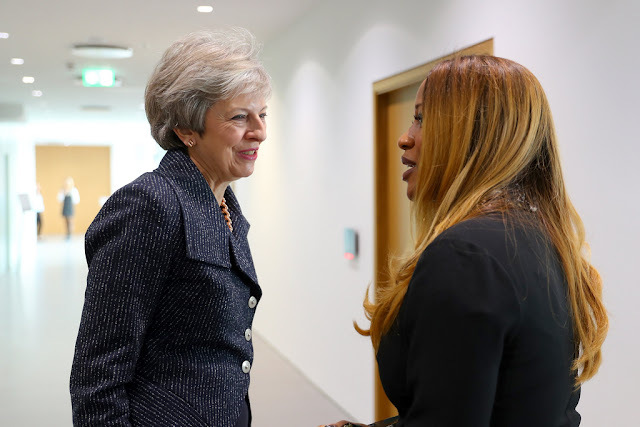 Later in the day, the PM was in the House, providing an update on Brexit negotiations and in the evening, she hosted a National Black History Month reception at Number 10. 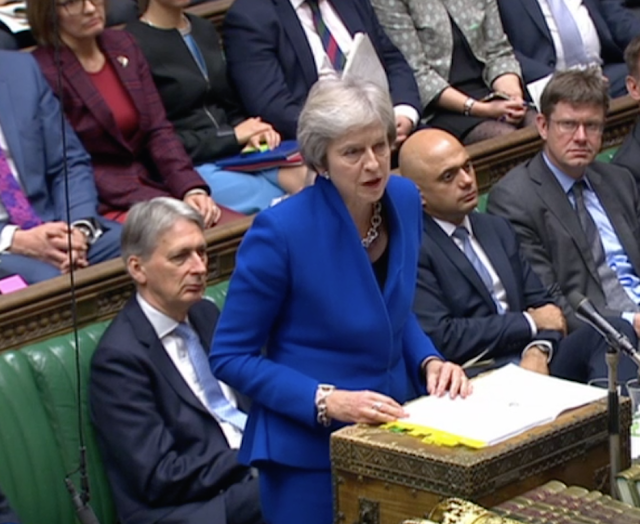 On Wednesday, the PM took part in the weekly PMQs session before heading off to Brussels for the first day of the EU Council meeting. It was a red, white and blue outfit - namely, the navy Escada skirt suit, a white top and a jewelled red necklace. 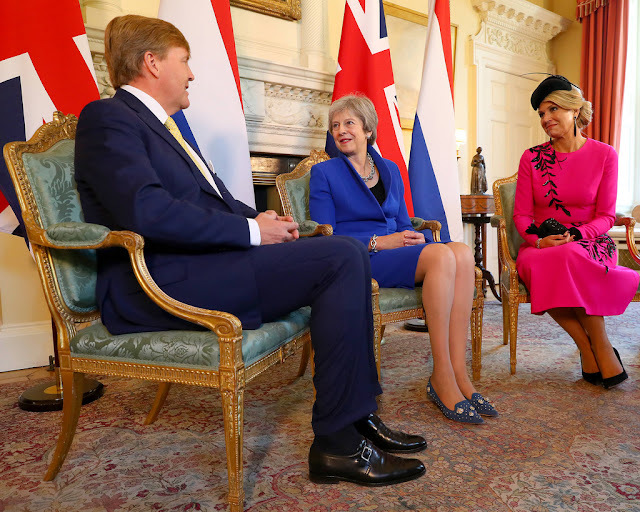 The navy Twiggy kitten heels made a reappearance! For the second day of the EU Council meeting on Thursday, one of our favourite outfits was back. 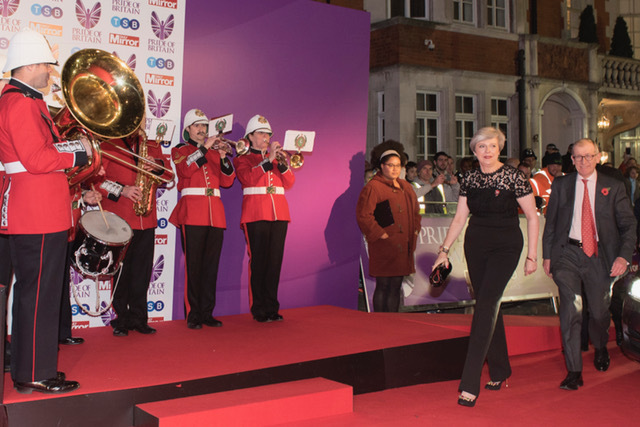 May wore her purple Orchid skirt and jacket from Daniel Blake, teaming it with the iconic leopard Kitty leopard heels from Charlotte Olympia. 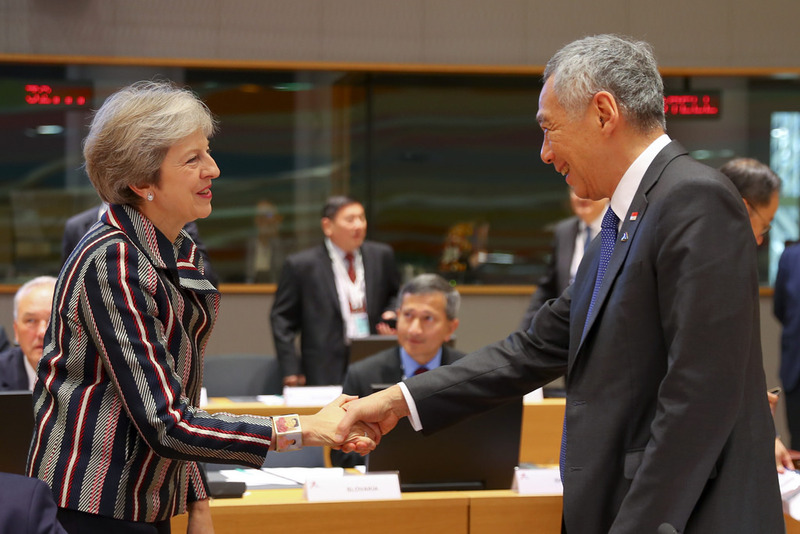 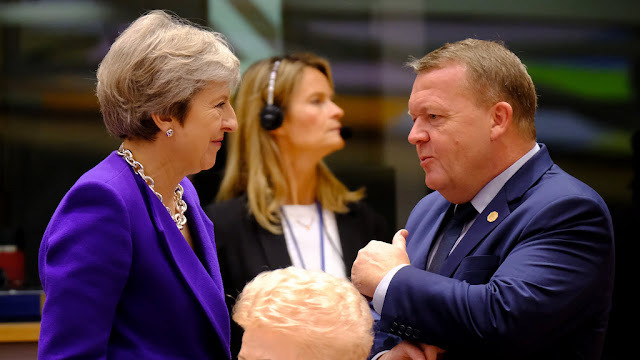 And on Friday, the PM attended the 12th Asia-Europe Meeting in the Europa Building. We love her striking new striped jacket - especially teamed with the Delicious leopard flats from Russell & Bromley! 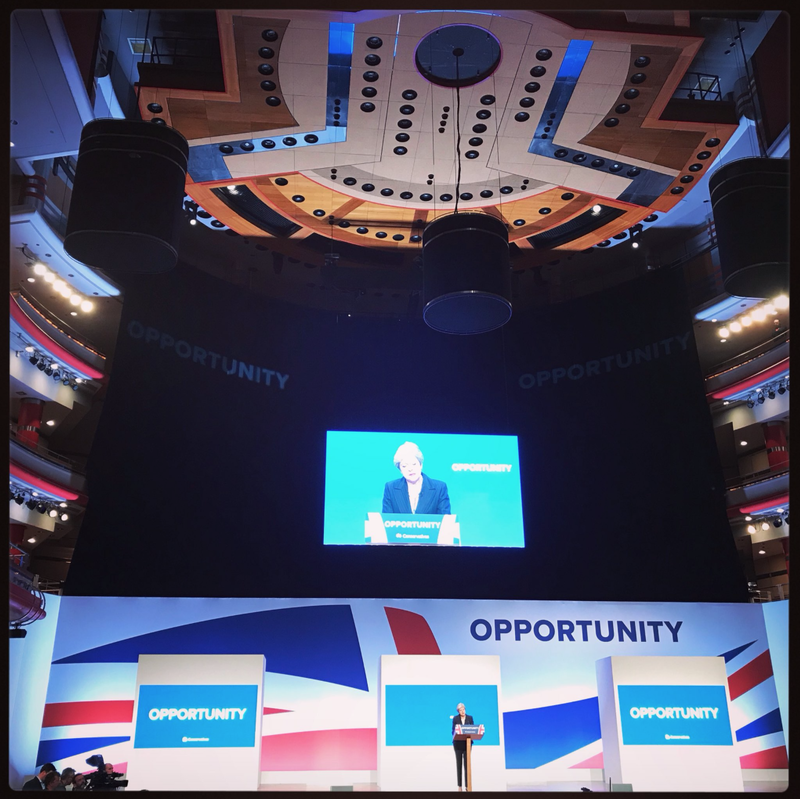 MPs returned to Westminster this week after the very long party conference season! 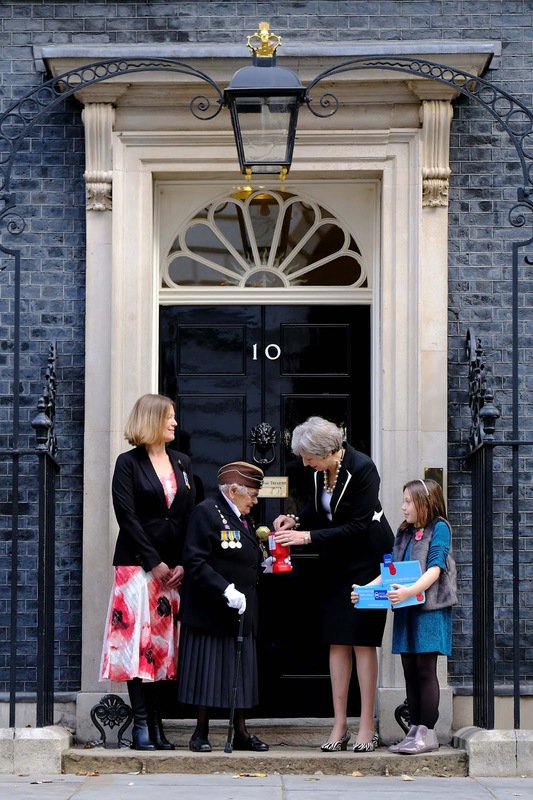 And for the PM it was back to business on Monday as she returned to No 10. 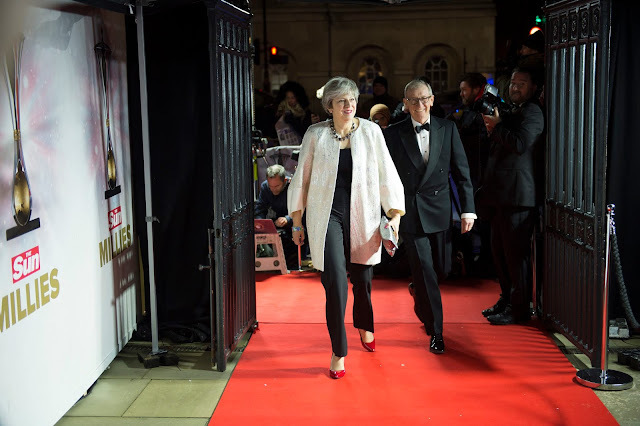 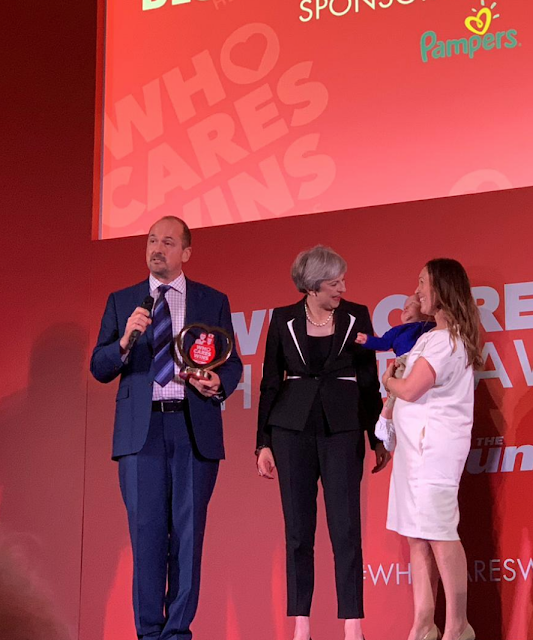 In the evening, May attended The Sun Who Cares Wins Awards in central London, wearing her black and white Escada blazer, black trousers and the now infamous black Curve 'dancing' shoes with red heel from Russell & Bromley. 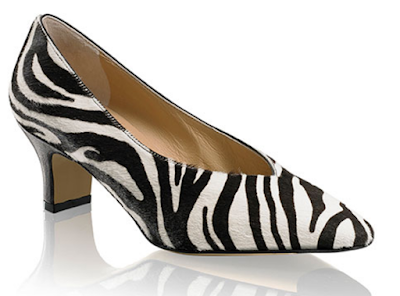 I think we all need a pair! 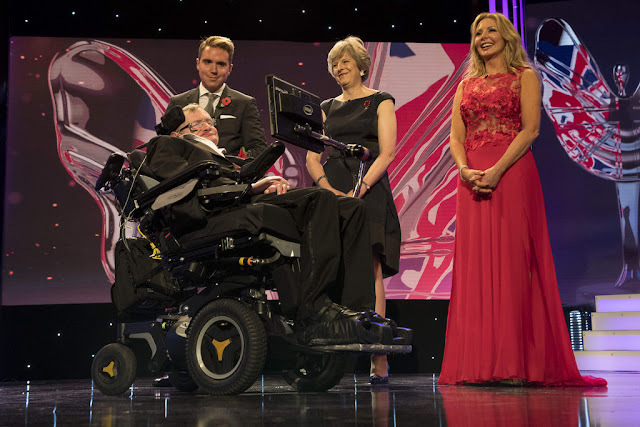 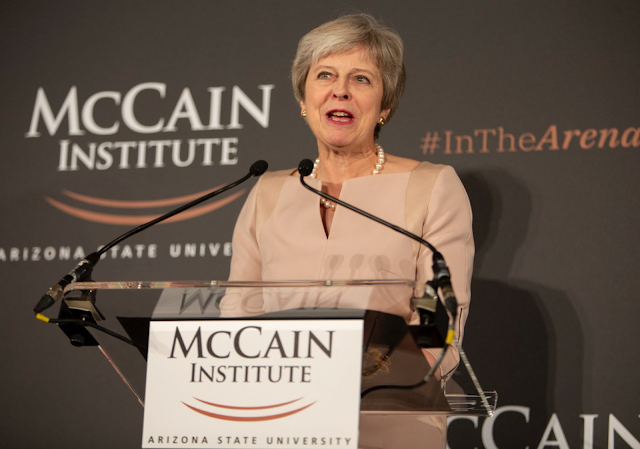 On Tuesday, May accepted the inaugural 'In The Arena' award from the McCain Institute for her work to tackle modern slavery. 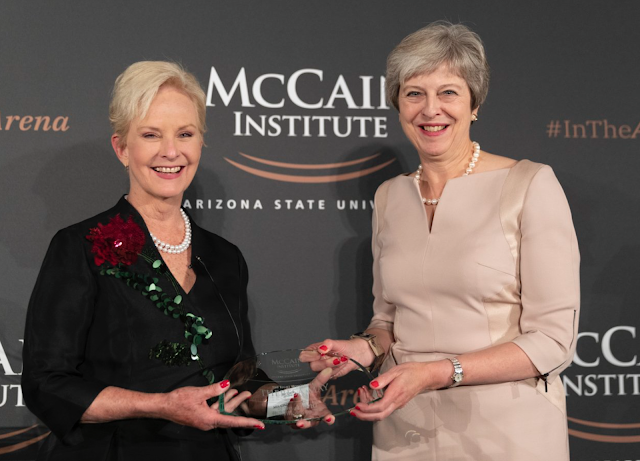 The PM met Cindy McCain, widow of the late Senator McCain and former Vice President Joe Biden. 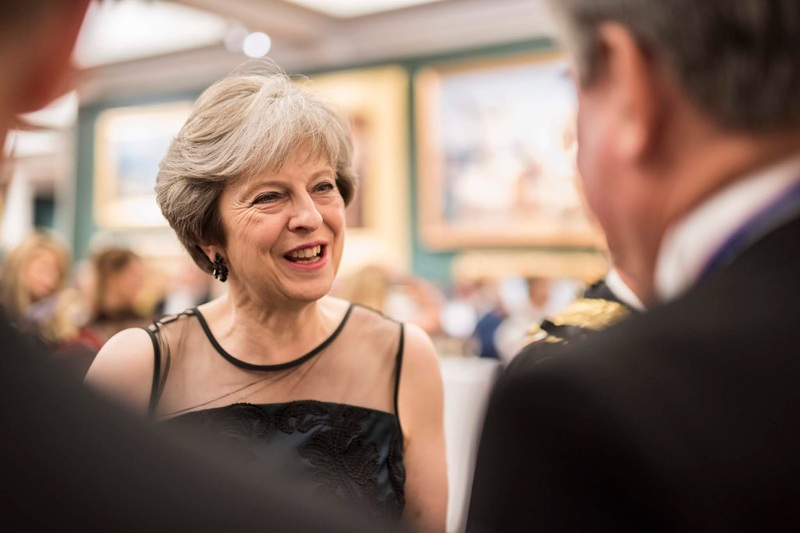 May debuted a new Amanda Wakeley dress - we love it! 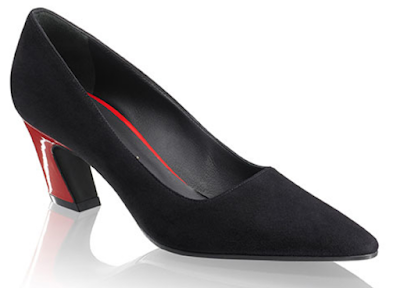 And she teamed it with the Issa x LK Bennett kitten heels. 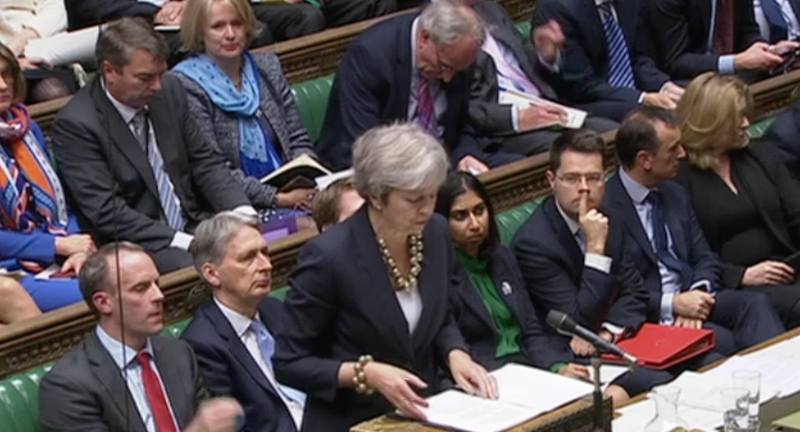 On Wednesday, it was back to the Commons for the return of Prime Minister's Questions. 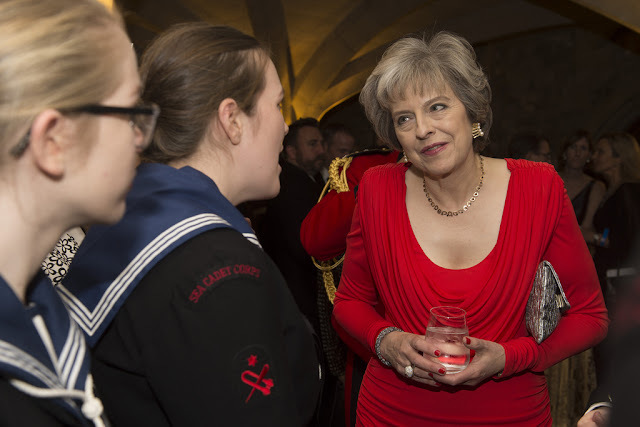 The PM wore our all time favourite Daniel Blake navy spotted jacket with navy trousers, opting for the navy Twiggy kitten heels. 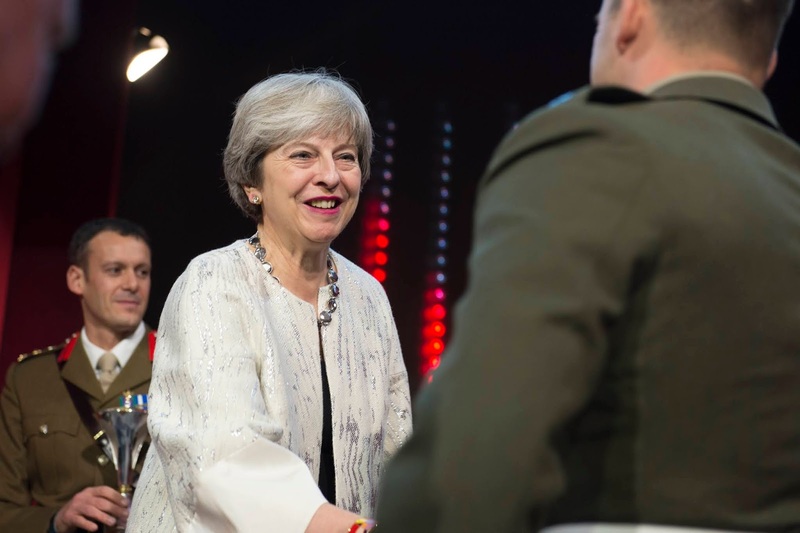 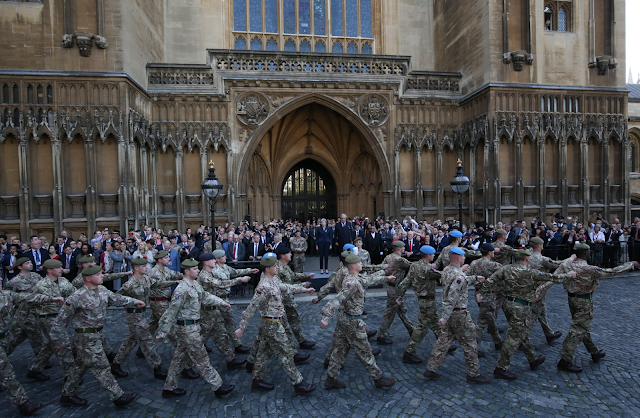 Following PMQs she welcomed 120 British Army personnel to Parliament thanking them for their service overseas. 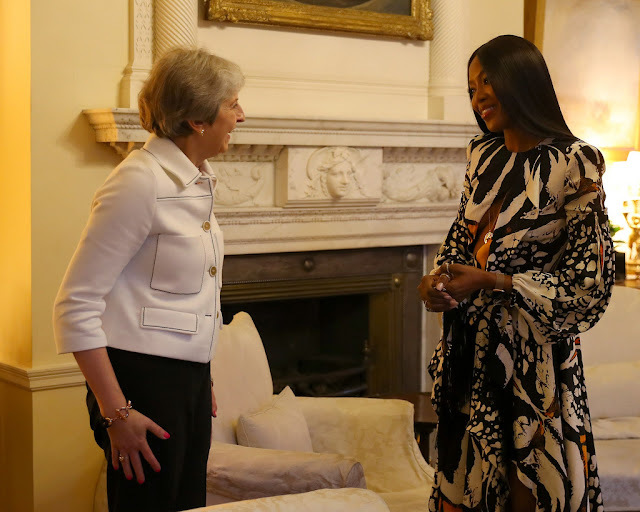 And in the afternoon, she held a reception marking Mental Health Day at Number 10. 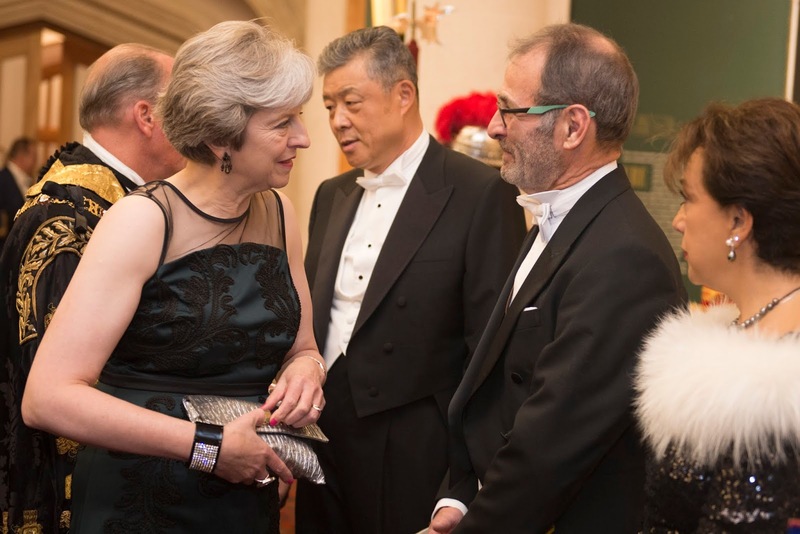 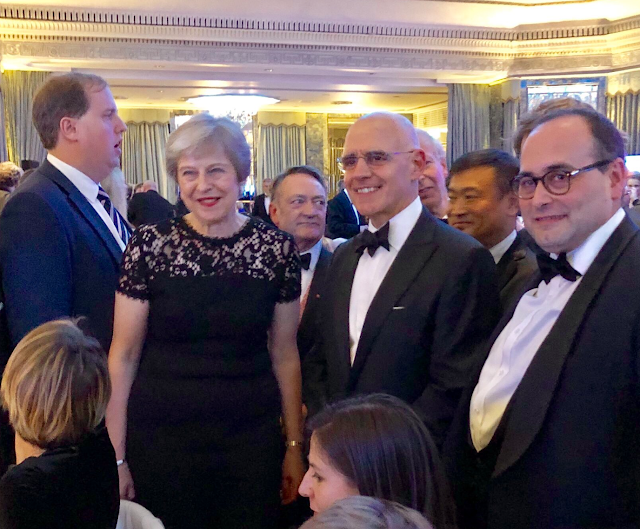 In the evening, May attended the Carlton Political Dinner, wearing the quirky cool black lace jumpsuit. 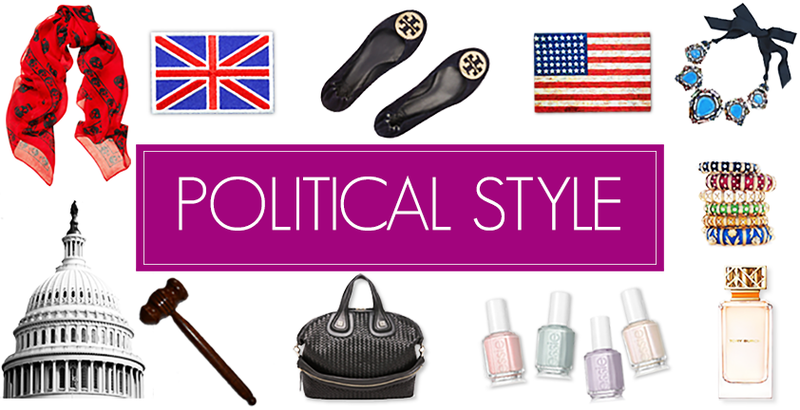 Any spots on the shoes - then let us know! And on Thursday, the PM visited Ogilvy as part of the launch of the Race at Work Charter, which gives businesses a clear set of actions to work towards in helping to create greater opportunities for ethnic minority employees at work. May wore her navy and silver thread Daniel Blake jacket, teaming it with a black skirt. The PM accessorised with the new season Amanda Wakeley rose gold and black ribbon oversized chain and necklace - a firm favourite!